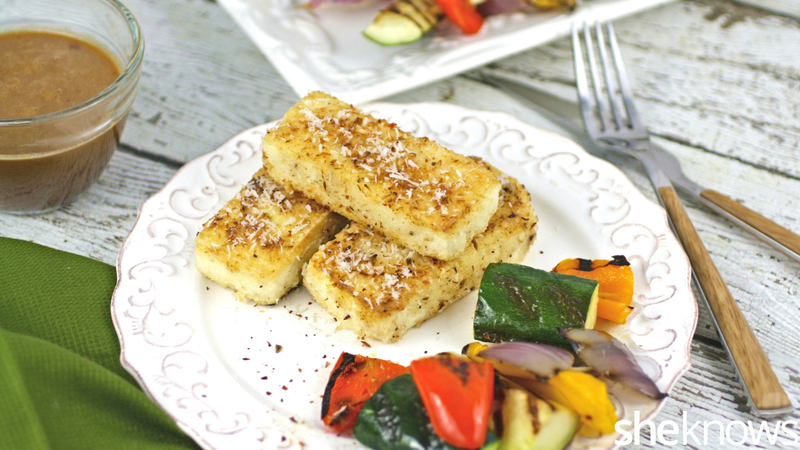 Tofu doesn’t have to be bland or boring, which you’ll discover with this recipe for coconut-crusted tofu with spicy peanut sauce. 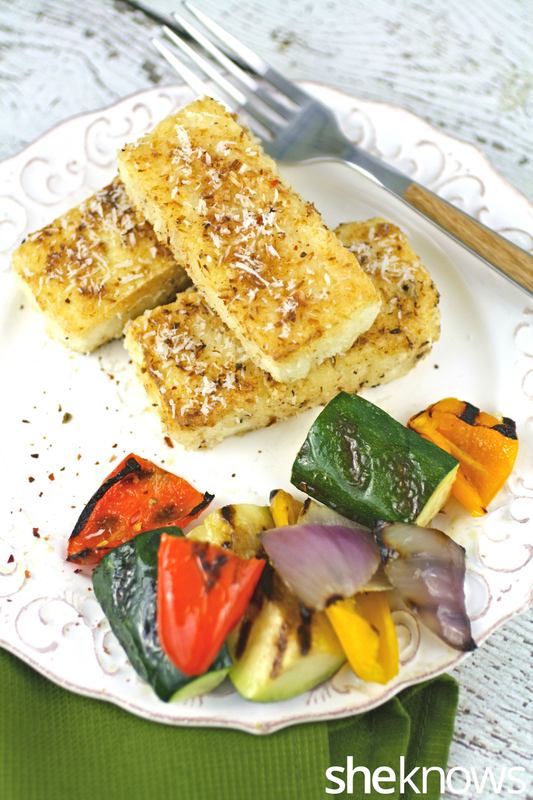 This is a great main dish option for a fun meal accompanied by grilled veggies. You could also serve this as party food appetizers. 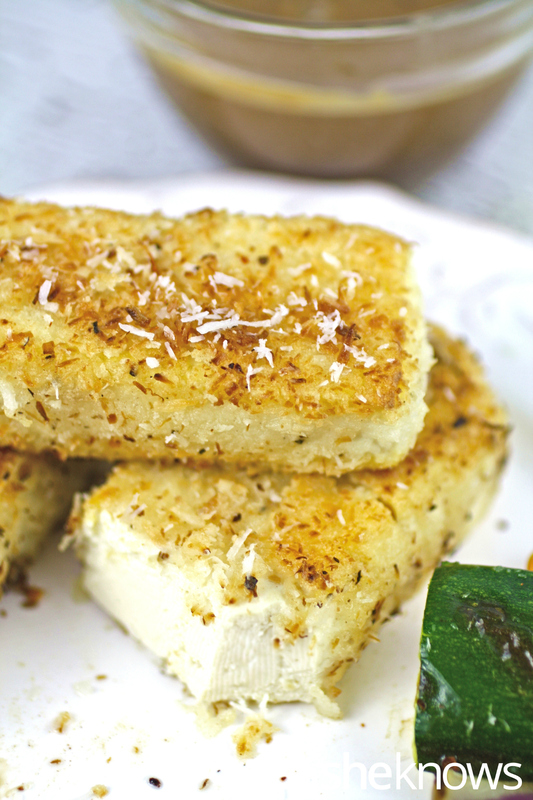 This tofu dish is crispy and coated in coconut. In my opinion, it doesn’t get much better than that… until you add the spicy peanut sauce that goes with it. This makes a fabulous main-dish meal served with grilled veggies. Or break it out for entertaining as a festive appetizer. Whenever you serve it, you’ll enjoy how tasty this meatless dish is. Get this meatless meal on the table sooner than later, because you won’t want to miss out on its flavor (the dipping sauce is divine). It makes a great appetizer too. Heat the peanut butter in the microwave just for about 10 to 15 seconds to soften it. To a bowl, add all the ingredients along with the peanut butter, and whisk until smooth. Refrigerate until ready to serve. Stir before using. To a shallow bowl, add the coconut, flour, cornstarch, salt and ground black pepper, and mix to combine. Add each piece of tofu to the mixture, and use your hands to help pat on the mixture and coat the tofu all over. Work in 2 batches. To a large skillet or Dutch oven over medium-high heat, add 1/2 the oil. When the oil is hot, add 1/2 the tofu. Cook on all sides, about 2 minutes each. Remove, discard the used oil, and wipe the pan clean. Repeat with the remaining tofu. When finished cooking, sprinkle with the extra coconut along with a bit of red pepper flakes. Serve warm with the sauce and vegetables on the side.